We traveled across Manhattan for the top rated (thus most delicious!) pies and we were not disappointed! These are perfect for those of you who run out of time to make something but still want to have something scrumptiously homemade! So here they are in no particular order! Try to keep your mouth from watering. 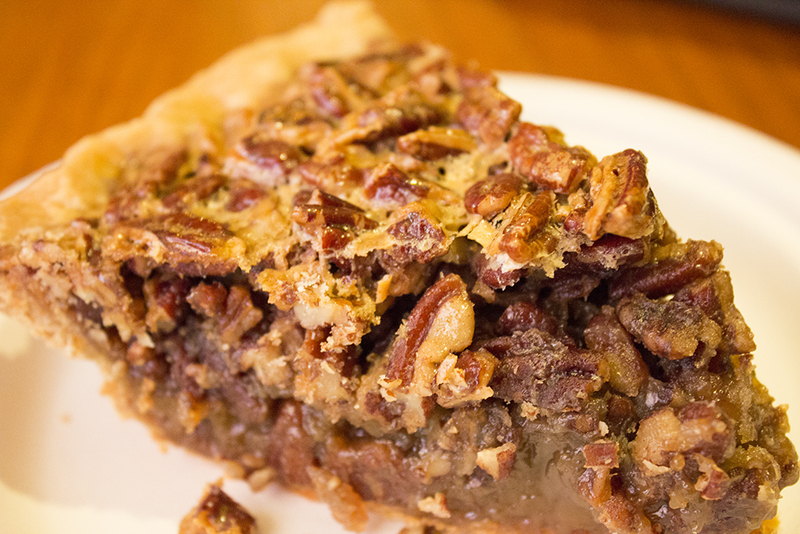 Their Pecan Pie is nothing less than RIDICULOUS in all the best ways. And their Pumpkin Pie looks so good I could literally eat this picture! Baked has been in the sweets business for over 10 years and they offer some of the best classic deserts the city has to offer! They started in Brooklyn and have become so popular that they just opened a new location this November in Manhattan (279 Church Street). Baked's classic Pecan pie is DAMN GOOD! This pumpkin whoopie pie is not only a creative option to bring for Thanksgiving but it also allows everyone to have their own personal pie. Whats better than that? Nothing! Momofuku is a must visit if you haven't been. Although their crack pie (yes that is actually its name) may not be the traditional Thanksgiving pie, it will certainly blow your socks off! This Sour Cream Apple Walnut pie is so creamy and delicious! It's a nice twist on the classic dish!